Anime and Japanese popular culture fans are in for a special treat in June as Anime Festival Asia 2012 (AFAMY 2012) will be staged for the very first time in Malaysia! 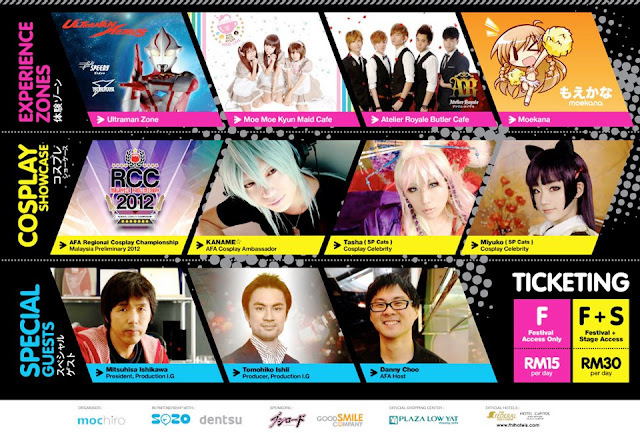 The festival will showcase an electrifying line-up of anisong (anime songs) stars from Asia's music powerhouse, Japan. Japan's top talent and latest offerings in the animation and the Japanese popular culture scene will be featured. 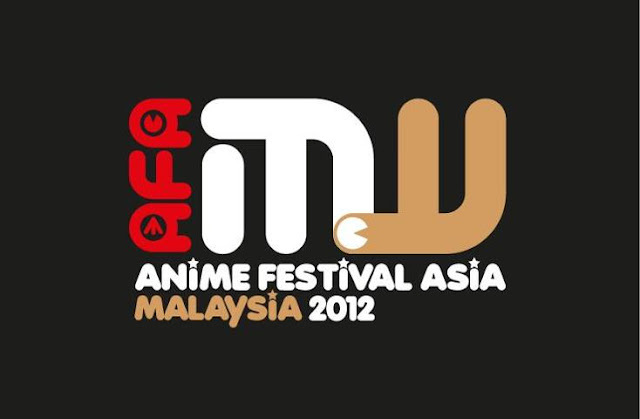 AFAMY 2012 will be held on 9 & 10 June, 2012 at Tun razak Hall 1 & 2, Putra World Trade Centre, Kuala Lumpur. 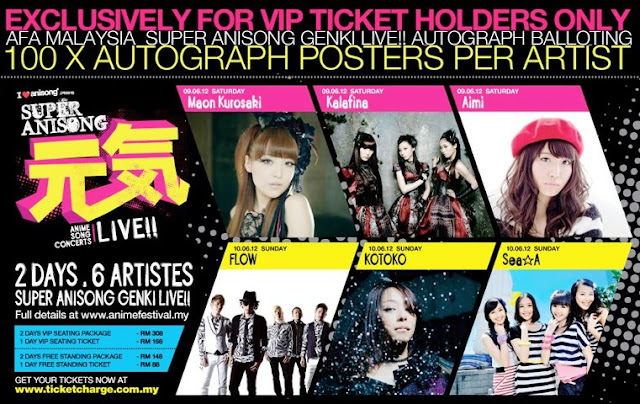 Visitors to AFAMY 2012 will be able to catch several Japanese Anisong J-Pop Acts performing over 6 hours in 2 days. Among the confirmed artists include Koyoko, Sea A, Maon Kurosaki, Flow and Kalafina. Tickets will be priced at RM 308 for 2-Day VIP seating, RM 168 for 1-Day VIP seating, RM 148 for 2 -Day Free standing, and RM 88 for 1-Day free standing. In addition to the Anisong concerts, avid shoppers can look forward to original anime merchandises from Akiba Town by some of Japan's top brands including Good Smile Company and Bushiroad. Visitors will also get to experience the iconic Moe Moe Kyun Maid Cafe and Atelier Royale Butler Cafe for a memorable dining experience. Special guests include Mitsuhisa Ishikawa, Co-Founder and President of Production I.G, Japanese anime entrepreneur and producer for the Ghost in the shell film; and Ishii Tomohiko, renowned Animation Producer for Ghost in the Shell, Sky Crawlers and TV series Eden of the East. Both men will share news of some of their latest releases scheduled for 2012. Danny Choo, one of the well-known and respected blogger of Japanese pop culture in the World, will be the official host of AFAMY 2012. For more information, visit http://www.animefestival.my/ today!